I got a haircut a few weeks back. It wasn’t a big change lengthwise so I debated if it was even blogworthy. Since this is a blog chock full of this caliber of blogworthiness, well, of course it’s blogworthy! 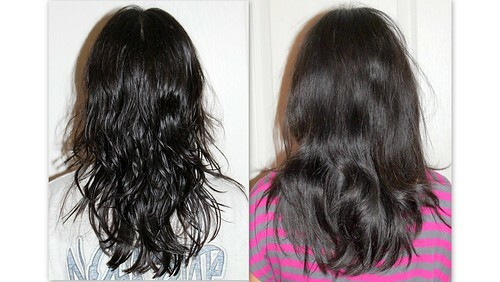 The after is the wet hair (left). I guess I should’ve done dry hair for both photos. Ah well. The important thing is, she did it very quickly, just the way I like it.